A “Mommy Makeover” is one of the most commonly requested procedures at Morea Plastic Surgery Center of North Raleigh. Simply stated, the mommy makeover is a combination of cosmetic breast and cosmetic abdominal surgery. Pregnancy and breast feeding can take a tremendous toll on a mother’s body. Breast feeding can result in changes to the breasts such as loss of breast volume and breast asymmetry. The breasts may begin to sag or droop. Pregnancy affects the abdominal wall in many ways. The abdominal wall skin can become lax and stretch marks may appear. The abdominal wall muscles can become weak and the supporting structures can stretch. Dr. Christopher Morea brings his expertise and over eighteen years of experience as a board certified plastic surgeon to women in Raleigh, Durham, Wake Forest and surrounding areas who wish to regain their pre pregnancy body contour. Mommy makeover procedures in our Raleigh, N.C. plastic surgery practice are customized to deliver the desired results to each individual patient. The breast procedures may consist of a breast augmentation, breast lift or a breast lift and enhancement with the use of breast implants. The breast procedure of choice will depend upon the changes that have occurred following pregnancy and the look or breast size that a woman desires. Breast augmentation will involve the placement of a breast implant, which can be either saline filled or silicone filled, to enhance the size of the breasts. A breast lift procedure would be required to correct sagging or drooping of the breasts, also referred to a ptosis. If a woman desires her breasts to be lifted as well as enhanced in size, the use of a breast implant would be required. The abdominal component of the mommy makeover will depend upon the degree of excess or loose skin, the strength or weakness of the muscle wall and the amount of excess fatty tissue. These factors will determine whether the patient needs abdominal liposuction, a minor tummy tuck or a full tummy tuck. Abdominal liposuction involves the use of a cannula to remove excess or unwanted fatty tissue. Liposuction will have no effect on the abdominal muscle wall and does not involve removal of excess skin. A tummy tuck procedure will remove fatty tissue, excess loose skin and the appearance of stretch marks will be improved. The muscle/fascia layer will be tightened with the placement of sutures which will flatten the abdomen and help restore the pre pregnancy appearance. A mini tummy tuck may be the procedure of choice if the excess skin is limited to the lower portion of the abdomen below the umbilicus. A mommy makeover surgery can take between two to six hours to perform depending upon the procedures required. Mommy makeover at Morea Plastic Surgery is an outpatient procedure performed under general anesthesia in our fully accredited AAAASF certified operating suite. Dr. Morea’s talented staff of experienced Registered Nurses will care for you in our recovery room until you are ready for discharge. Recovery after a mommy makeover will vary from patient to patient, however, most patients can return to work both inside and outside of the home in approximately seven to ten days. The cost of mommy makeover in Raleigh, N.C. can vary depending upon the experience of the plastic surgeon and the procedures that are performed. During your first consultation for mommy makeover, you will meet personally with Dr. Morea to discuss your individual plastic surgery goals. He will advise you regarding the abdominal and breast procedures which are best suited for you. You will have the opportunity to view our library containing thousands of before and after mommy makeover photos of actual patients from our practice. 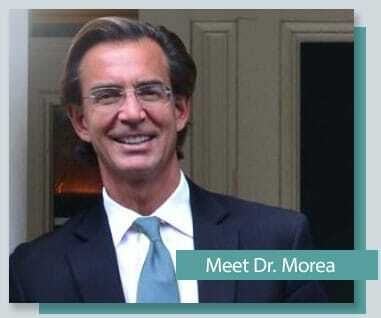 Dr. Morea will give you a personal tour of his North Raleigh plastic surgery center and you will be given a quote for the exact cost of the mommy makeover procedure designed for you.